Providing better control than a manual saw, a jigsaw is a must for anyone who needs to make fast, clean cuts. As an essential piece of DIY equipment, at SGS Engineering we offer a selection of Ryobi jigsaws at budget-friendly prices. We make it easy for you to upgrade your toolbox from our range of Ryobi tools, whatever your price range. We stock a selection of Ryobi cordless jigsaws that make powerful cutting even easier, freeing you from the restraints of a cord. 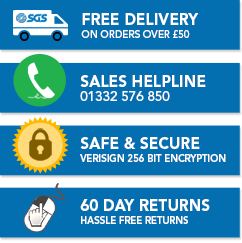 These products are built for portability, reliability and high performance, so you can get the best results, every time. With Ryobi 500W jigsaws and models that provide up to 3,000 strokes per minute, the Ryobi range delivers quick and precise work on wood and sheet steel. They are also able to perform a variety of cuts, from scroll and cross, to rip and pocket, making them a great choice for different tasks. Designed to increase accuracy, the Ryobi jigsaws are packed with technology. This includes a flat bar and pendulum, to boost precision by up to 49%, as well as a built-in LED light for better visibility. These Ryobi jigsaws are also simple to operate due to their tool-free blade changes and clamping systems, which make adjustments quick and easy. 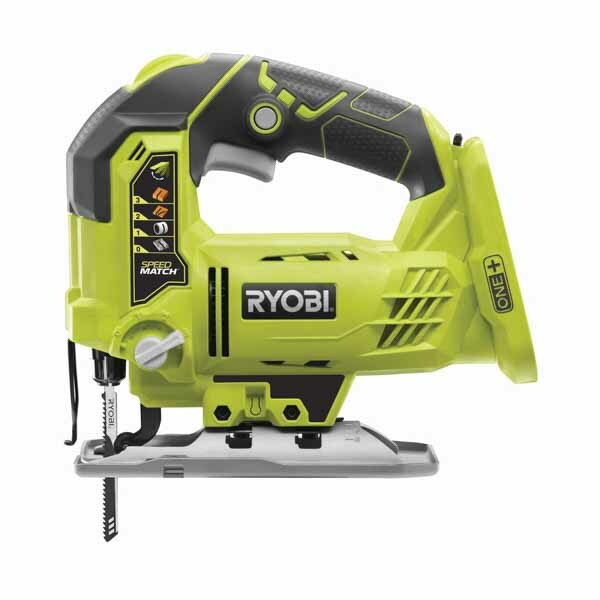 Plus, with a long-life Ryobi battery, you can complete a maximum of 80 cuts on just one charge. With a choice of great value jigsaw only options, to bundles that contain chargers, batteries and blades, we’ve got the tools you need at prices you can afford. Buy your Ryobi ONE+ jigsaw from SGS Engineering today.